Romolo Chocolates has big plans for their delicious summer music lineup. 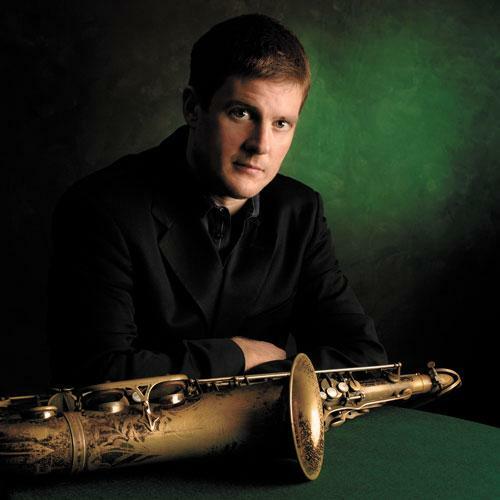 Tenor saxophonist Eric Alexander returns to Erie for a set on July 11. True to his word, Romolo Chocolates owner Tony Stefanelli is bringing back a number of crowd favorites for this year's Romolo's-sponsored seven-concert Summer Music Series. The Romolo's piazza and parking lot will come alive on June 20 for one of Stefanelli's personal favorites: the all-female troupe Cocomama, a Latin and Latin-jazz group led by Mayra Casales. The rest of Cocomama is: Nikki Denner, piano; Christelle Durandy, vocals; Jennifer Vincent, bass/foot percussion; Ariacne Truillo, vocals, piano; and Yanet Montero, timbal. The first of many "old friends" is alto saxophonist extraordinaire Richie Cole, who has been here often enough between sold-out gigs at Anchor In and visits to the Romolo's sessions that he ought to have a pad here, but the trek up from Pittsburgh – where he's barely able to handle the work he's being offered – isn't too stressing. On June 27, Cole will work with an Erie rhythm section comprised of the always-reliable team of guitarist Frank Singer and drummer Joe Dorris (sans vocals and harmonica on this occasion). The bassist? In a pleasant surprise, Mr. Stefanelli, as talented a musician as chocolatier. Yet another returnee to our shores is set for July 11. Veteran tenor saxophonist Eric Alexander has played for JazzErie and Romolo's series. Alexander is hugely popular with listeners, rated highly with many critics, and a prolific recording artist whose HighNote label CDs are often high on the charts. He's doing something a little different this time, returning to his roots and playing with Hammond B3 organist Greg Hatza, a major artist in his own right, as is guitarist Paul Bollemback, and drummer Robert Shahid will be holding it steady behind the kit. As mentioned in an earlier Erie Reader story, one of the sensations at last year's season was harmonica player-vibraphonist Hendrik Meurkens. July 18 is his date. He'll lead a quartet, including Misha Tsiganov, piano; Gustavo Amarante, bass; and Adriano Santos, drums. The music? Predominately Brazilian, with jazz tunes and standards also in the repertoire. Flute, pioneered and promoted in jazz by Herbie Manne throughout his long career, is still too seldom heard as far as some are concerned. Well, Ali Ryerson is one of the best in jazz today. She'll be in concert July 25, and is certain to play some things from her new album Con Brio. Ryerson's band is Mike Demicco, guitar; Chuck Lamb, keyboard; Kip Reed, bass; and Karl Latham, drums. Depending upon the size of the local/regional Latin music fandom, this year's surprise hit could be Calje (Chicago Afro-Latin Jazz Ensemble), scheduled for Aug. 8. This quartet includes Victor Garcia, trumpet; Darwin Noguera, piano; Juan Daniel Pastor, drums, cajon; and John Benitez, bass. Following the axiom "saving the best for last," Aug. 15 will bring us "by popular demand" (Stefanelli's words) the team of B3 organist Tony Monaco and tenor saxophonist Pete Millls, with Erieites Frank Singer, guitar, and Joe Dorris, drums. They'll throw in a ballad or two, but mostly will reflect Monaco's musical personality and tear it up! See you all summerlong at Romolo Chocolates' Sweet Summer Season!